Had a funshoot today. I have to test if I can use the Fuji X100 for some serious shooting. I took advantage of the fact that the fuji X100 had a built in ND filter and can sync with the flash with 1/1000 or more 🙂 that enables me to kill the ambient light even if its high noon. 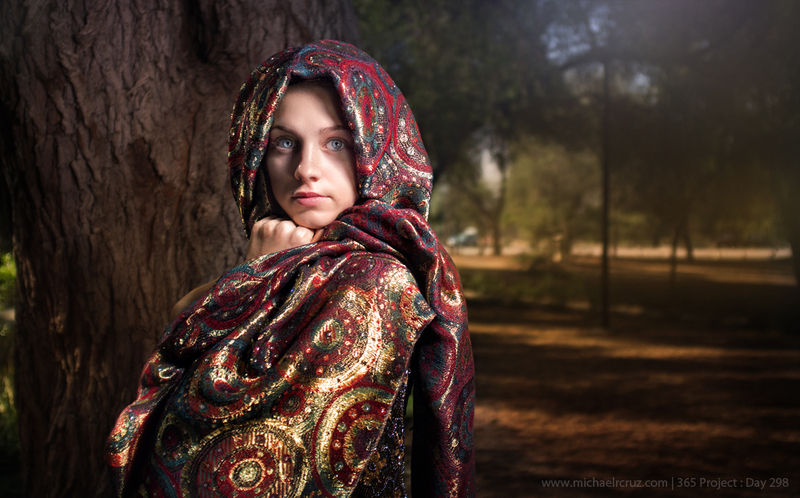 I had a 580exii with lumiquest softbox III on top right to get some nice highlights and shadows to the model and her colorful cloak. Were you using the RF-603 C1 (the one compatible with T2i, T3i, etc) or the C3 (the one compatible with 1D, 7D, etc.). I think I just answered my own question by looking at your gear–it looks like you shoot with a 7D, so you’re likely using the C3 version. Good news for me–thanks for posting this!